Steve Norman has the Kerckhaert race plates selected for Gemologist for the 2012 Kentucky Derby. 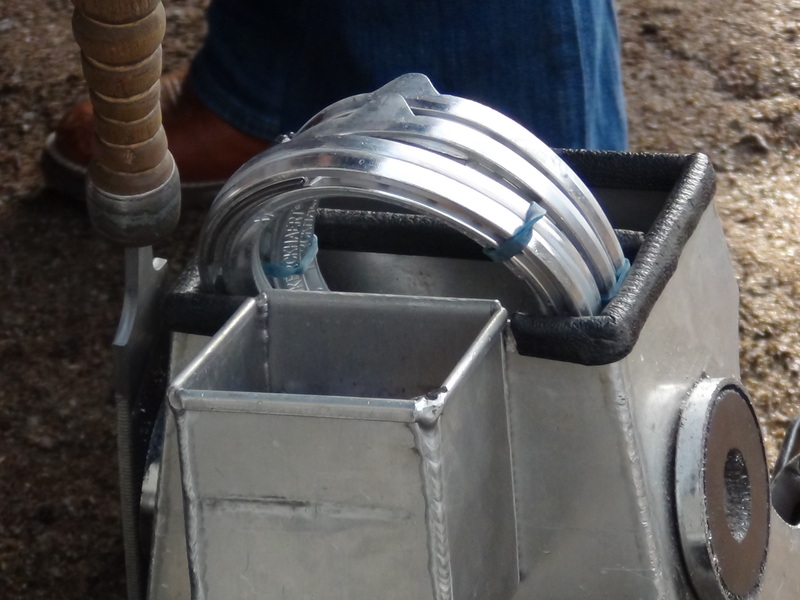 Day of- quite often the choice of some trainers for shoeing race horses. The Kentucky Derby is no exception and Derby Day 2012 we caught Steve Norman and Todd Boston working on Derby horses. 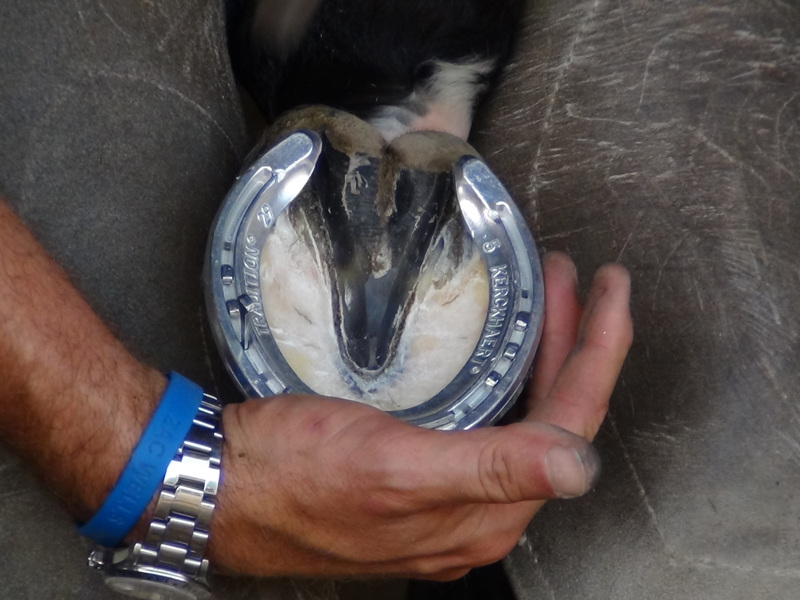 You can see a video clip on YouTube of Steve shoeing Gemologist for trainer Todd Pletcher. Steve shod Oaks runner-up Broadway’s Alibi. Todd Boston is fresh off shoeing the 2012 Kentucky Oaks winner- Believe You Can and was feeling pretty good about how the week is going. Today he was shoeing Prospective, one of the horses he has shod this past week for the Derby. Skies were gray- but the day was shaping up and if there’s no more heavy rain the track should be in good condition for the 138th running of the Kentucky Derby. This entry was posted in Events, The Hoof and tagged Farrier, horseshoeing, horseshoes, kentucky derby, ky derby, racing. Bookmark the permalink.